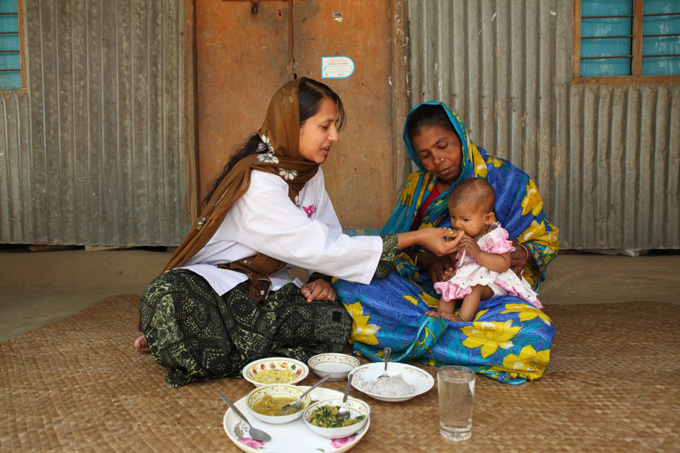 Bangladesh is rated as one of the 36 high malnutrition burdened countries in the world. Although it was widely perceived that malnutrition could be curbed down by increasing peoples’ income, recent studies have shown that it is not always the case. Malnutrition is not only under-nutrition but also over-nutrition, which leads to obesity leading to further health complications such as non-communicable diseases. Moreover, exposure to junk food coupled with a lack of knowledge on nutrition increases the prevalence of malnutrition across the mid and higher quintile of the population. Most of the current programmes to combat malnutrition are designed for the poor and underprivileged people of society. Thus, they screen out a large group of people who are partially or completely unaware of the impact of malnutrition in their lives. 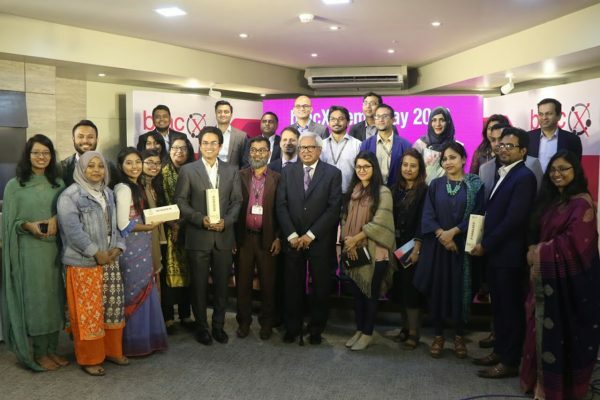 At the SUN’s 2014 Global Day of Action conference, a study conducted in Tanzania showed that about 26 per cent of children in the mid and higher quintile of the population are malnourished further reflecting that Bangladesh is of no difference. Most of the products that substitute breast milk are consumed by the well-off, reflecting their lack of knowledge on infant, young and child feeding (IYCF) practices, thus leading them to be more susceptible towards malnutrition. Moreover, social traditions and taboos also induce them to customise complementary feeding, resulting in the poor nutritional status of their children. Additionally, many inadequately educated mothers from urban areas have the wrong perception that expensive and imported baby food is better for their children rather than homemade food recommended by nutritionists. So should we ignore these children just because they come from wealthier families? Of course not! BRAC, in collaboration with other partner organisations, civil societies and private enterprises, continuously works to increase awareness on nutrition among mothers and adolescent girls – future mothers. In this regard, BRAC is sharing nutrition specific messages at the community level to increase people’s nutrition literacy in addition to conducting national and sub-national level advocacy. Moreover, BRAC in association with other partners successfully amended the existing breast milk substitutes (BMS) code, which was 30 years old. This law had some limitations and in 2013, the Bangladesh government replaced it with a stricter act to further promote breastfeeding. The aim of this act is to protect children under five by discouraging breast milk substitute manufacturers and doctors from promoting BMS to new mothers. Relevant studies show that nutrition-sensitive programmes coupled with nutrition-specific programmes are more impactful in reducing malnutrition holistically. BRAC is now reaching all across Bangladesh (rural and urban areas) and promoting the intake of micronutrient powders to eradicate vitamin deficiency and anaemia among children. Though we have made remarkable progress in combating malnutrition, the war against it is still on. We need to reach more mothers at both the higher quintile and those residing in hard-to-reach areas like on riverine islands. Our standpoint is to reduce malnutrition collectively by engaging the relevant stakeholders and we have a vital role to play. We need to increase our focus on the floating population and children residing in hard-to-reach areas along with the higher quintile of the population. Improving the nutritional status of children is not only our commitment but also their right and we need to invest in this for a better future for all. Nowshin Jahan is a senior sector specialist working in BRAC’s health, nutrition and population programme.